Mega Sale! 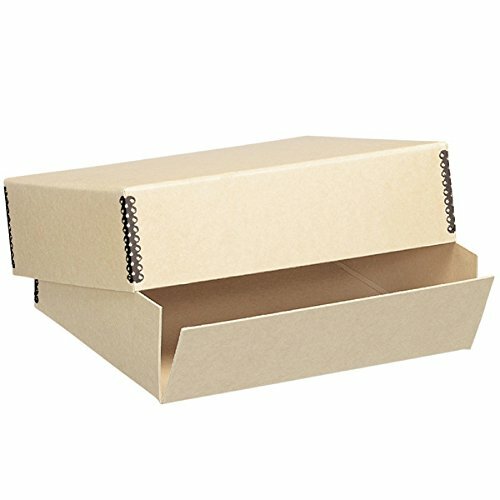 Save 30% on the Lineco Archival 8x10'' Print Storage Box, Drop Front Design, 8 1/2'' x 10 1/2'' x 3'', Exterior Color: Tan. by Lineco at Marco Marcucci. SKU: FSMB8103T. MPN: FBA_7333008. Hurry! Limited time offer. Offer valid only while supplies last. Protect your most valued photographs, documents and artwork with a museum quality archival, acid free box. Metal corners for stacking strength. Protect your most valued photographs, documents and artwork with a museum quality archival, acid free box. Metal corners for stacking strength. Acid-free board is buffered with calcium carbonate to help neutralize airborne pollutants. Drop front for easy access. 3" depth. See other available Tan Museum Box sizes: Tan 1-1/2" Depth. Other sizes & colors also available.